A number of vulnerabilities have been discovered this week, leaving the likes of Microsoft, Apple and Google all reeling to get patches released. Microsoft released an urgent patch to secure a zero-day exploit found in all versions of Internet Explorer. The vulnerability, named CVE-2015-2502, could potentially allow a wrongdoer to gain admin privileges through a malicious website. Windows 10’s Edge browser, which replaces the IE family, is not affected by the flaw. Apple often gets to sit back and laugh at Microsoft when vulnerabilities are discovered, but as its OSX gains popularity, hackers are readjusting their sights; and this week, Apple got some pie in its face. The bug was discovered by a hacker who describes himself on Twitter as an 18 year-old Italian called Luca Todesco. The developer made the vertical privilege escalation security flaw public and has received criticism from the development community for not giving Apple the chance to patch the vulnerability. The tpwn exploit, which exists in all versions of publicly released OS X, requires physical access to a system in order to implement an attack, but could potentially be exploited if a user were install malicious software. Todesco recommends that users install SUIDGuard, available as an installer on Github, to protect themselves from the exploit. In typical Apple fashion, the OS-maker has declined to comment. Yet another bug has been found in Google’s Android operating system, affecting all versions dating back to 2.3, released five years ago. 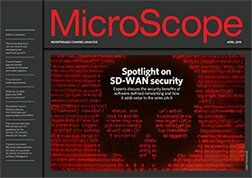 The flaw utilises the mediaserver component, and is similar to the Stagefright bug, allowing malicious applications to execute arbitrary code, says Trend Micro. “This attack can be fully controlled, which means a malicious app can decide when to start the attack and also when to stop,” Trend said in an advisory. Google has released a patch for the bug, but due to the disparate Android ecosystem, it could take weeks or even months to reach devices.